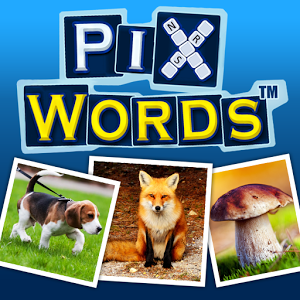 PixWords is a word puzzle game available on most mobile platforms; the game is free to download for iOS and Android devices. PixWords ist ein Wortpuzzle, welches auf den meisten mobilen Plattformen verfügbar ist; das Spiel kann auf iOS und Android Geräten kostenlos heruntergeladen werden. PixWords nutzt für dessen Puzzle eine Kombination aus Bildern und Worten. Für jedes Wort im Kreuzworträtsel bekommt der Spieler ein Bild. Jedes neue Bild wird dadurch freigeschalten, dass der Spieler das letzte Wort richtig errät. PixWords is een puzzelspel verkrijgbaar op de meeste mobiele platformen; de game is gratis te downloaden voor iOS en Android apparaten. Üdvözöljük a PixWords megoldások oldalán. A Pixwords egy szókirakós játék, mely elérhető a legtöbb mobil platformon, a játék ingyenesen letölthető iOS illetve Android készülékekre. PixWords je slovní hra dostupná pro většinu mobilních platforem; tato hra je zdarma ke stažení pro zařízení s operačním systémem iOS a Android. Pixwords è un gioco fantastico per tutti i dispositivi Android ed iOs. Lo poi scaricare gratis negli appositi store. Το PixWords είναι ένα παζλ παιχνίδι λέξεων διαθέσιμο στις περισσότερες πλατφόρμες κινητών· το παιχνίδι κατεβάζεται δωρεάν για iOS και συσκευές Android. We are working on the other languages. As soon as all the puzzles are solved, we will add them in this page. It may sound pretty simple and the idea is relatively simple but the game gets difficult pretty fast and getting stuck is something players should expect to happen often. This is where the pay to win aspect comes it; players can pay money into the game for coins which can be used to reveal letters, remove unwanted ones and even reveal the full answer. These coins are available in the game for free as well but they are pretty limited meaning if players need more they’ll need to start paying for them in order to beat each level and win the game. Coins are given to players upon beating a level. It took our staff a lot of time to prepare all the answers to all the puzzles. You can thank us just by sharing our website on you favorite social network (Facebook, Twitter, Pinterest, etc). Use the buttons below to help you.